New US Republic via GCR Announcement Tonight? US Senate Speaker Paul Ryan was expected to discuss tonight on July 12 2016, implimentation of parts of the NESARA Law at a Town Meeting 9 pm EST on CNN. “A Better Way” – RV Invitation – Tuesday – July 12, 2016 Watch CNN. Live-streamed on internet: online and across mobile devices via CNNgo. History of the NESARA Law began nearly 450 years ago as the Anglo-Saxon world banking system started with creation of the Vatican Historical Asset Trust Accounts, today known as the Global Collateral Accounts. These funds of different sovereign countries across the globe were mainly backed by gold reserves of the ancient Chinese Royal Dragon Families. Certain sovereign families of Asia and Europe had pooled their assets into a series of very complex and secretive ​off-ledger​ private banking trust accounts. The monies were intended for humanitarian projects to help the world for the better, though had been fraudulently abused by a corrupt global banking system since at least the late 1600s. The Vatican owned the British Crown, while the British Crown and certain secret societies and private families such as the Rothschilds, Rockefellers, Bush, and Clintons owned or ran the world monetary system. This Cabal-run financial enterprise included what was to be titled as the Corporation of the United States housed in Puerto Rico. The privately owned US Federal Reserve had functioned as the primary creator of world reserve currency since the 1944 Bretton Woods Conference at the end of World War II. The practice of charging US citizens interest for use of their own money depleted US gold reserves to where none existed in Fort Knox and eventually created the Petro Dollar. 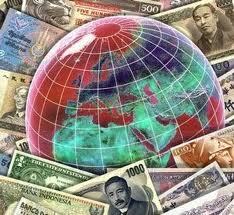 Allowing easy credit soon led to a global economy that functioned on currency that was backed by nothing. 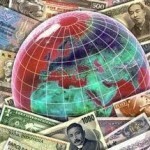 The US, and world economic system, was badly in need of a Global Currency Reset. 66. By 1979 the US military had started training to re-take the country and eliminate a Cabal shadow government that ruled the corrupt world monetary system. 70. The Federal Reserve was accustomed to giving orders to politicians and had no intentions of being audited. However, after they were informed their offices would be raided under military gunpoint if necessary, they complied with the investigation. After reviewing their files the military officers found $800 trillion dollars sitting in accounts which should have been applied to the national debt. Contrary to federal government propaganda, they also discovered that most nations owed money to the United States instead of the other way around. A. Approximately $1 trillion of public debt imposed by the Federal Reserve banking cartel families would be eliminated. B. This was the Federal Reserve’s worst nightmare, a “jubilee” or a forgiveness of debt due to the illegal banking and government activities. Some private debt would be forgiven including home mortgages, car, credit card, student loan and other bank debt. C. Common Law would be the law of the land forcing the government not to use military force. D. Inflation would be abolished. E. Much stricter banking controls would be put in place. F. Abolished the US income tax and the IRS. Employees of the IRS would be transferred into the US Treasury national sales tax area. G. Created a 14% flat rate non-essential new items only sales tax revenue for the government. Food and medicine would not be taxed, nor would used items such as old homes. H. Increased benefits to senior citizens. I. Returned Constitutional Law to all courts and legal matters. J. Reinstated the original Title of Nobility amendment. K. Established new Presidential and Congressional elections within 120 days after NESARA’s announcement. Monitored elections and prevented illegal election activities of special interest groups. L. The interim government would cancel all national emergencies and returned us back to Constitutional Law. M. Created a new U.S. Treasury rainbow currency backed by gold, silver, and platinum precious metals, ending the bankruptcy of the United States initiated by Franklin Roosevelt in 1933. N. Forbid the sale of American birth certificate records as chattel property bonds by the US Department of Transportation. O. Initiated a new U.S. Treasury Bank System in alignment with Constitutional Law. P. Eliminated the Federal Reserve System. During the transition period the Federal Reserve would be allowed to operate side by side of the new U.S. Treasury for one year in order to remove all Federal Reserve notes from the money supply. R. Retrained all judges and attorneys in Constitutional Law. S. Ceased all aggressive, U.S. government military actions worldwide. T. Released enormous sums of money for humanitarian purposes. U. Enabled release of over 6,000 patents of suppressed technologies that were withheld from the public under the guise of national security, including free energy devices, antigravity, and sonic healing machines.